Found this image on the longdang.com forum. In the foreground there is a courtyard of Qingxin Girls' School on Lujiabang Rd. The camera is looking north, toward the division between the former walled city and the Dongjiadu suburb. 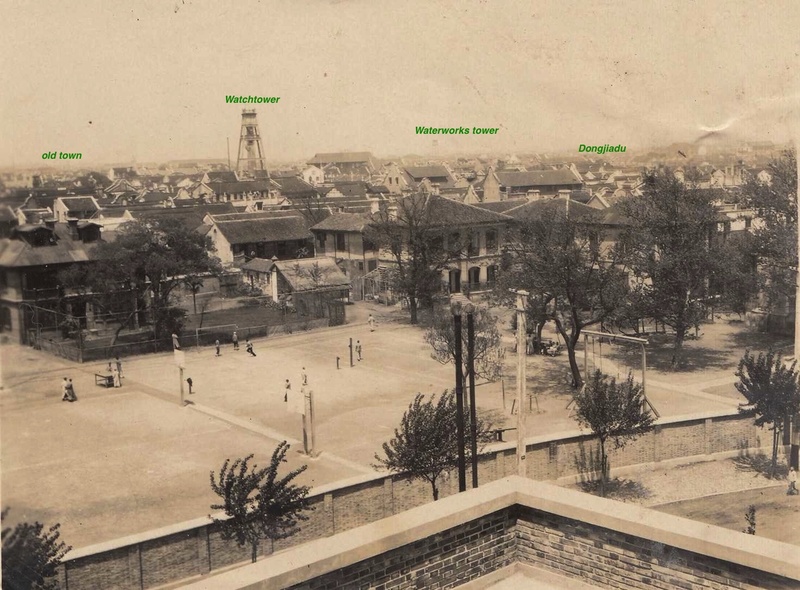 In the center there is the firestation watchtower, built in 1909 (and further away is the French waterworks tower near the north gate, in the French Concession). This wonderful view illustrates that the 36-meter watchtower was the tallest structure for many blocks around.